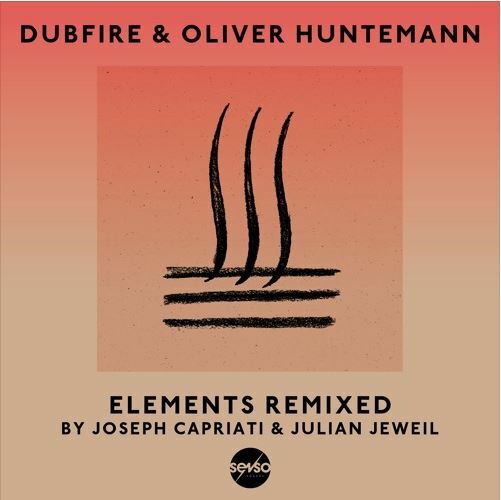 The true techno dream team of Dubfire & Oliver Huntemann revisit their Elements project from a few years ago with a new series of killer remixes_ Elements Remixed By Joseph Capriati & Julian Jeweil - Track? !D. The true techno dream team of Dubfire & Oliver Huntemann revisit their Elements project from a few years ago with a new series of killer remixes. Terra - originally released in 2011, did all sorts of damage to dance-floors across the globe. Now, it’s all set to do it again thanks to this Joseph Capriati Remix. The Italian techno headliner has grown into a major force on the scene in recent years, and here delivers a signature slice of muscular, driving techno - taut, dramatic and devastating. Paired with a remix of the now seminal Feugo Julien Jeweil’s remix also hits the spot - the track received a 2016 overhaul with some of Jeweil’s signature flair. The Frenchman has been a constant figure on the top of various charts and line ups for some time, and its easy to see why - Fuego is stripped back machine funk primed for big systems and even bigger moments.